Love Halloween? Join our competition! 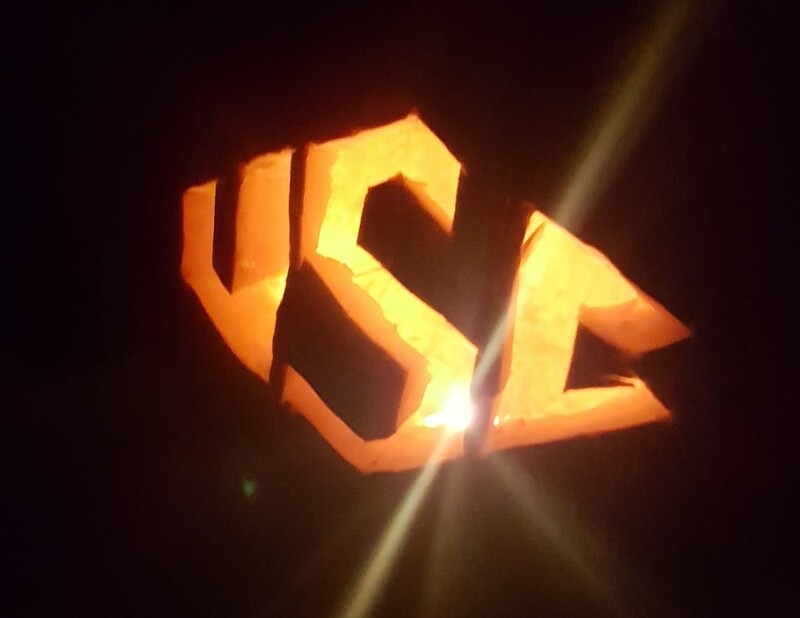 With Halloween only days away and grocery stores filled to the brim in pumpkins ready to be carved, we would like to invite you to compete in this year's College Marching Pumpkin Competition! Here's what you need know to enter. 5) Place pumpkin outside your front door to show your band love! Do that all by Sunday October 30th and you will be entered into the College Marching Pumpkin Contest. Then on Halloween, October 31st, we will publish all of the pictures we receive and let our fans pick their top 3 favorite pumpkins. Those 3 winners will be able to pick out any shirt from our store for FREE! Shop the store HERE! The picture we included in this article features a carving by Chavis McDonald, Jonathan Lee, Hannah Bauer and Adam "Stuface" Vernon-Young from the University of South Carolina, The Might Sound of the Southeast. Their carving features the Carolina Band's signature pregame formation. Love it! They are all members of the trombone section at USC. So get those pumpkins painted and carved! Be creative! Be funny! Make them band-nerdy! Whatever you want. Share this with anyone and everyone that you know that loves marching band and Halloween!